a big must when you visit San Francisco! tour guides are knowledgeable, no problem with where you hop on or off. punctual and courteous drivers even during peak season. thumbs up! 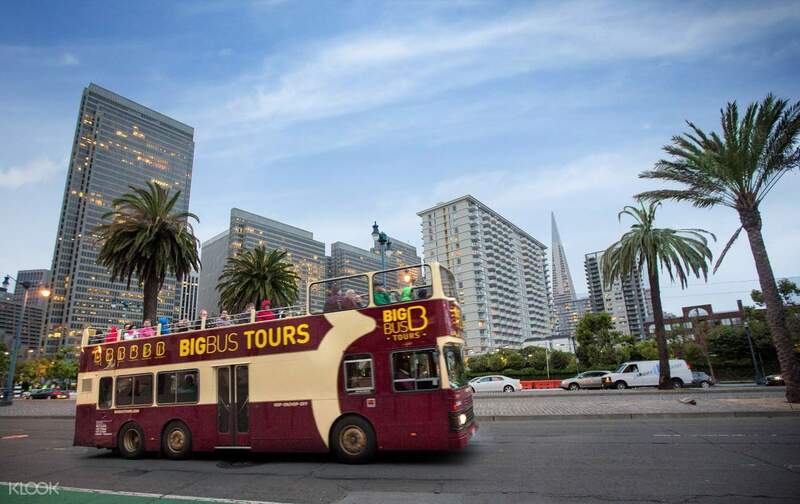 San Francisco is a city of stunning bridges, bays, and hills—and a hop on and hop off bus tour is a perfect way to sightsee. Experience the city that dazzles tourists with its world famous attractions, incredible scenery, and laid back vibe. You'll have an experienced English speaking guide with you, as well as a multilingual commentary that allows you to learn all the facts about and history of San Francisco. You'll pass by the must-sees, including Fisherman's Wharf, North Beach, Chinatown, and Barbary Coast. Explore all the destinations at your own pace by hopping on and off at your own leisure. Just ride the bus, hop off, visit the attractions, and wait for the next bus to come to move on to your next destination! The tour passes are valid for 24 hours or 48 hours, allowing you to plan your own itinerary. You can even go at night to appreciate the stunning, illuminated views of the city. 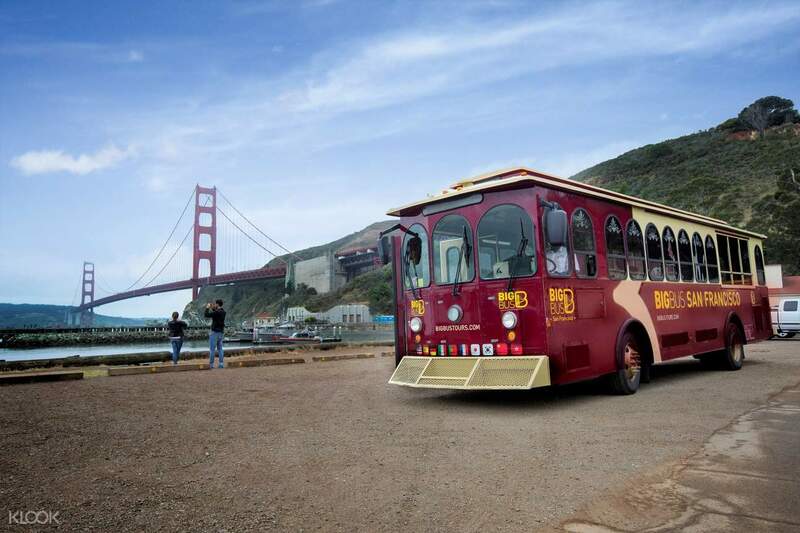 This bus tour is perfect for first time visitors in San Francisco. a big must when you visit San Francisco! tour guides are knowledgeable, no problem with where you hop on or off. punctual and courteous drivers even during peak season. thumbs up! a big must when you visit San Francisco! tour guides are knowledgeable, no problem with where you hop on or off. punctual and courteous drivers even during peak season. thumbs up! The app is not accurate in showing the last bus timing for each stop. App stated last bus departs Pier 39 at 7.04pm but its not true. We reached the bus stop before 7pm and waited and waited. When finally there is a bus comes at 7.30pm, the staff said last bus departs Union Square at 5pm. The bus drivers don't stop at all stops for a designated timing. If there are no passengers alighting or boarding, they straightaway leave the stop and continue the route. So that means they don't follow any timings at all. So if you want to catch the last bus at other stops, better reach very very much earlier. The app is not accurate in showing the last bus timing for each stop. App stated last bus departs Pier 39 at 7.04pm but its not true. We reached the bus stop before 7pm and waited and waited. When finally there is a bus comes at 7.30pm, the staff said last bus departs Union Square at 5pm. The bus drivers don't stop at all stops for a designated timing. If there are no passengers alighting or boarding, they straightaway leave the stop and continue the route. So that means they don't follow any timings at all. So if you want to catch the last bus at other stops, better reach very very much earlier. Thank you for your consideration in leaving us with a review. We take your feedback on your experience seriously, hence we sincerely apologize for the inconvenience this may have caused. Your understanding and patience is greatly appreciated. Thank you for your consideration in leaving us with a review. We take your feedback on your experience seriously, hence we sincerely apologize for the inconvenience this may have caused. Your understanding and patience is greatly appreciated. You can easily explore San Francisco attractions. However, as in the case of Seoul, there is a lot of traffic congestion. It takes about 4 hours by round trip based on the red route. There is a sense of boring. Also, the 2nd floor bus is very cold due to the wind in the winter. 샌프란시스코 명소를 편하게 둘러볼수 있습니다. 그러나 서울 시내와 마찬가지로 교통정체가 심한 편이며 레드노선기준으로 왕복4시간 정도 소요되여 다소 지루한 감이 있습니다 또한 2층버스는 겨울에는 낮에도 불구하고 바람으로 인하여 매우 춥기때문에 미리 보온품을 챙겨야 합니다. Conveniently used well. I was not able to get on the 2nd floor because of the heavy rain, but I was able to listen to Korean commentary on the first floor, so I used it with my children. 편리하게 잘 사용했습니다. 비가 많이 와서 2층을 못탄건 아쉽지만 1층에서 한국어 해설을 들을수 있어서 아이들이랑 편하게 이용했습니다. 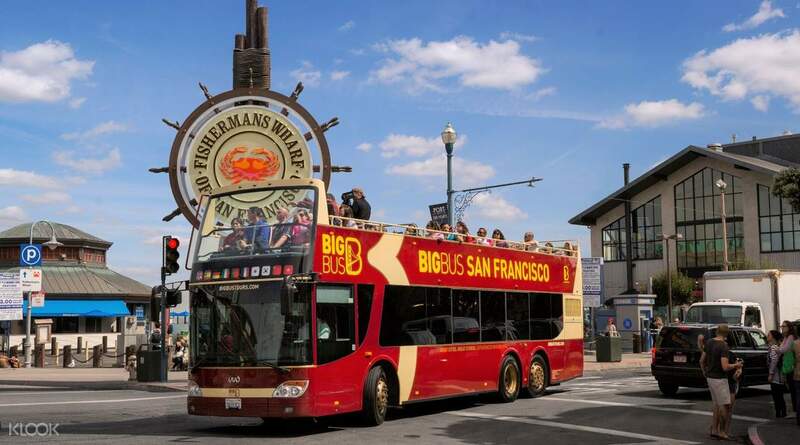 Instead of the expensive San Francisco parking fee, I went on a big bus for two days. I'll use it as a means of transportation next time. 비싼 샌프란시스코 주차요금대신 빅버스를 타고 다니며 이틀동안 잘 다녔습니다. 다음에도 교통수단으로 이용해야 겠어요.